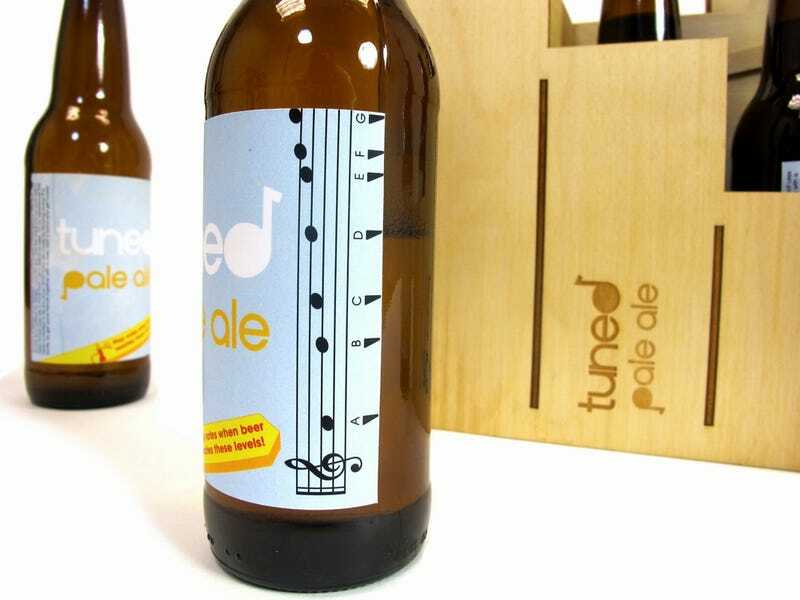 The Tuned Pale Ale's bottles show a musical scale on its label. Drink it down to the note you want, blow on it, and it will play it back. Buy a pack, and form a band with your friends. Actually, the pack itself becomes a drumming box, and the bottles' special washboard shape also serves as percussion source.